soccerloco is the premier destination online to buy soccer goalie shorts, apparel, equipment, and more. Look through our huge selection to find all you need to take your game to the next level. The goalkeeper shorts in our store are some of the best, like all the products we carry, because it just won't do to have inferior equipment when you're as passionate about soccer as we are. Make sure you're protected while you're protecting the net with soccer goalkeeper shorts tailored to your needs as a goalie. Shop now at soccerloco to get a pair of comfortable and stylish goalie shorts designed to give you an edge between the posts. We have goalie shorts from some of the best names in soccer apparel like Reusch, Puma, and adidas. The soccer goalkeeper shorts in our online store are specially designed for goaltenders who will stop at nothing to protect the net from enemy intrusion. Soccer goalie shorts with soft pads built into the hips protect you when you have to dive or slide to stop sneaky, low shots trying to slip through your defenses. Moisture-wicking fabrics and finishes in many of our goalkeeper shorts help to keep you cool in the heat of the game by channeling sweat away from your body. 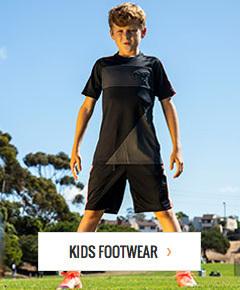 At soccerloco, we only carry the best products so every player can be at the top of their game. The web's best customer service and prices. When you're looking for quality soccer goalie shorts, get them from soccerloco, where you'll find the web's best prices. We carry a huge selection of goalkeeper shorts to make sure you can get exactly what you're looking for, and when you do, low cost flat-rate shipping will help you save even more. If you end up needing to return any goalie shorts you get from soccerloco, no problem; we make returns simple to get you back on track to getting what you really want as fast as possible. By offering superior products and services, soccerloco has carved itself a spot at the top, becoming the leading online retailer of soccer apparel, equipment, and more. Shop now with soccerloco to get your next pair of soccer goalkeeper shorts and you're sure to walk away satisfied.